D-Link provides a range of stacking cables that allows stackable switches to be connect to be managed and operate as a single unit. 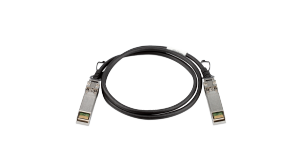 The DEM-CB300S is a 3 meter 10GbE Direct Attach Copper (DAC) SFP+ Cable. It is compatible with all D-Link 10GbE switch products including DGS-1510 SmartPro Stackable switches, DGS-3420 and DGS-3620 managed switches, DGS-6604/6608 chassis switches, and DXS-3600-16S and DXS-3600-32S 10GbE aggregation switches. 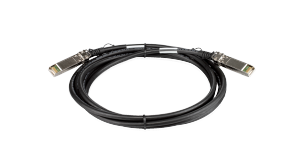 The DEM-CB100 is a 1 meter 10 GbE stacking cable for DGS-3120 series switches. It has screw type CX4 connectors at both ends. The DEM-CB300 is a 3 meter 10 GbE stacking cable for DGS-3120 series switches. It has screw type CX4 connectors at both ends. 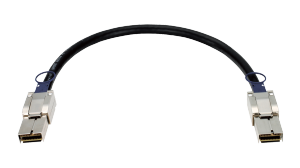 The DEM-CB300QXS is a 3 meter 40GbE Direct Attach Copper (DAC) cable used with the DXS-3600-EM-4QXS module. 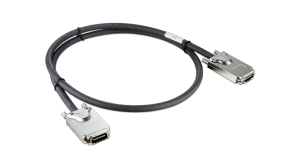 It has QSFP+ connectors at both ends. 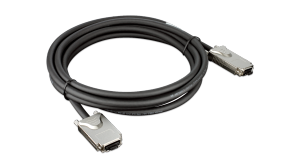 The DEM-CB100QXS is a 1 meter 40GbE Direct Attach Copper (DAC) cable used with the DXS-3600-EM-4QXS module. 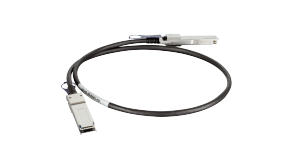 It has QSFP+ connectors at both ends. The DEM-CB100QXS-4XS is a 1 meter 40GbE Direct Attach Copper (DAC) cable used with the DXS-3600-EM-4QXS module. It has a QSFP+ connector at one end and four (4) 10GbE SFP+ connectors at the other end. The DEM-CB50CXP is a 1/2 meter 120GbE Direct Attach Copper (DAC) stacking cable used with the DXS-3600-EM-STACK module. It has CXP connectors at both ends.